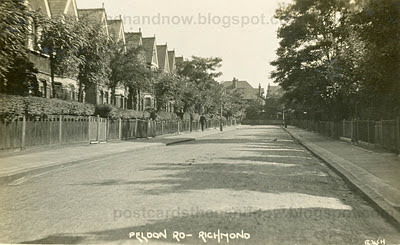 Richmond, Surrey, Peldon Avenue circa 1915. The pleasant tree lined avenue that we see in the old postcard looks like so many other late Victorian suburban streets in West London. 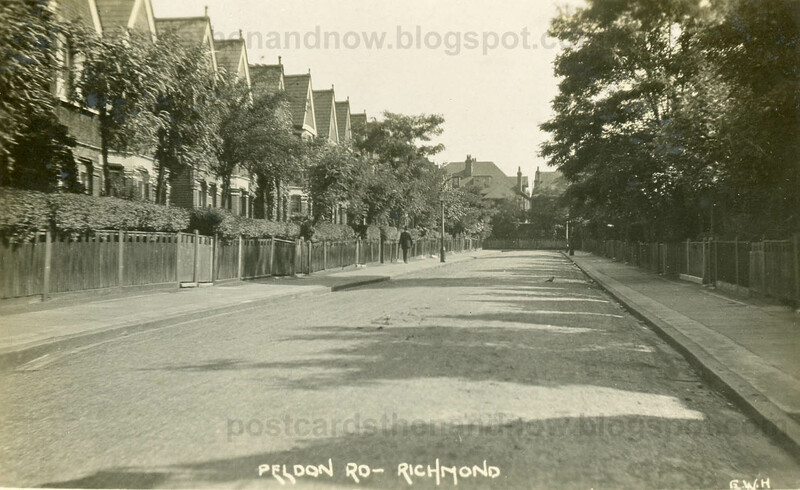 The postcard publisher, who identifies himself as 'GWH', has got the street name wrong on the postcard caption - there never was a Peldon Road in Richmond, it was Peldon Avenue. On the modern Google Street View we can see what has replaced Peldon Avenue - a group of large blocks of flats called Peldon Court. When the flats were built its name changed from Peldon Avenue to Peldon Court. Below the postcard you can see a part of the Bacon's map of 1904 showing Peldon Avenue as it was. The son of the artist Camille Pissarro, Ludovic Rodo Pissarro, himself an artist, lived in Peldon Avenue from 1919 to 1921. However, it was in the early part of The Blitz in 1940 that Peldon Avenue became infamous. It was hit by a land-mine - a huge bomb dropped on a parachute - on 20 September 1940. The bomb destroyed almost all of the street causing the greatest loss of life in the borough of Richmond during the whole war. All of the female members of the Danby family were killed along with many other people. 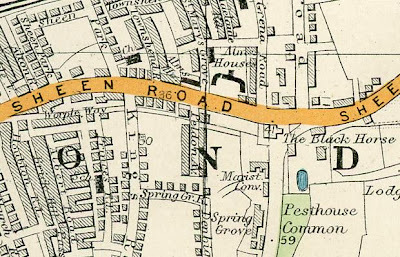 A good account of the bombing of Peldon Avenue can be found at this BBC web page. The present flats were built in the late 1950s. This is the only picture I've ever seen of Peldon Avenue, it may be the only one there is. Click the pictures to enlarge. 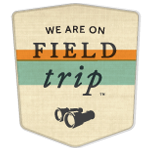 For more old photographs visit the Sepia Saturday blog. Oh my goodness, you said this would be sad....horribly sad indeed! I hesitate to use the word ‘enjoy’ about this post, but I found the links thoroughly absorbing. What an articulate, but somewhat harrowing, acount on the BBC website. It does put things in perspective. The story on the BBC website is a tremendous piece of writing to remind us of the horrors of war for civilians. Postcards of residential streets are pretty rare here. The story of Peldon Avenue is interesting but very sad. Yes very sad but reality. I have seen many movies of the war days and so remember seeing accounts of the goings in our Pathe News shorts before the weekly movies at the theater. A very interesting post Howard. Horrifying and fascinating when you think of a place simply disappearing in a moment. Future and past gone. Sad post but important to remember - a lovely neighborhood gone. Somehow the replacement is not the same. I had never heard of parachute landmines. It must have been very disturbing to watch one descend. The costs of war can never be measured. Thank you for this post. My parents and I were one of the first families to move into Peldon Court in 1959. I always wondered what was there before. Such a tragedy. My great grandad lived here,in 1915, whilst serving in the first world war. Interesting to see how it would have looked when he lived there.